Using a one way door is one of the best ways that you can get rid of mice that have invaded a building or home. However, you should know that this technique alone is not able to completely rid you of a mouse problem as others mice may still find ways to enter the structure. The situation may be more complex than just setting up a one way door, and the technique will not be easy for the beginners. The one-way funnels are used where there are holes that the mice are using to enter or exit the home. The device needs to have the flanges at one end and a wing at the other end. 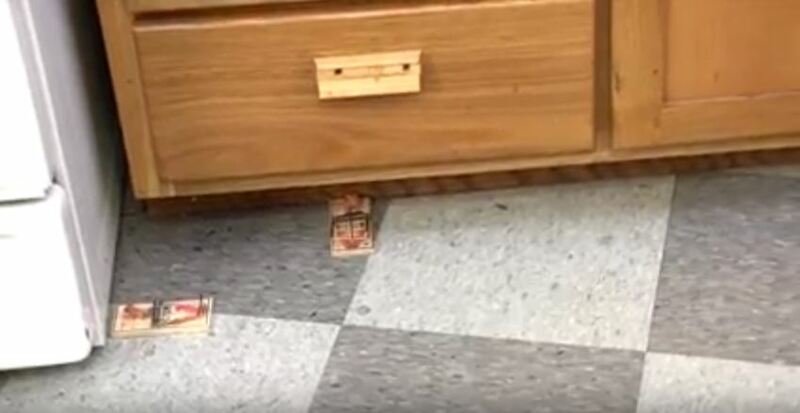 This type of setup is a safe way to target the mouse population and is not as risky as traps which may accidentally catch animals that were not targeted. With the funnel, the animal will be able to go out of the structure without any problem. The funnels have to be precise to ensure that the animals can get out but are not going to be able to get back inside. When the funnels have a hole that is too big, they will re-enter, and if the hole is too small, they will not be able to get out. If you are not able to use a one-way funnel to get rid of the mice, it is good to hire a professional so that he can take care of the problem for you quickly and safely. You should not consider using mouse poison since it can be very inhumane for the rodents, and if they die within the building, they are going to create a terrible odor. Also, in just a few days new rats can show up to replace the ones that have died, and you may be even worse off than when you started. Before you use the one-way funnel, you have to make sure that all other holes that may serve as entry and exit points for the animals are sealed completely.